Often, if the key is not stuck too far within the lock or ignition and a piece of the key remains exposed, one will be able to extract the key themselves. However, if the key is broken well inside the lock or ignition and if there are tiny pieces of the broken key within the lock tumbler or ignition then a locksmith must be called. Continuing to use a spare key under these circumstances will simply damage the spare key and further damage the lock, leading to a breakdown of the locking or ignition system. 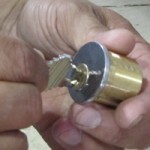 FC Locksmith is the premier provider of broken car key extraction services in Toronto. Our locksmiths have the equipment, the software and the knowledge to handle car key extractions for any type of broken key, lock and ignition. Our expert technicians are trained to remove broken keys from lock cylinders and ignitions without causing any damage to your car. They will arrive to your location in a fully stocked truck and are capable of not only performing the broken car key extraction but will duplicate keys, unlock your car door, re-key your lock or ignition and much more. The FC Locksmith call center is available 24/7 each and every day of the year. Our courteous and capable customer support staff will field your call and have one of our certified automobile locksmiths to your location without delay. FC Locksmith Toronto can perform broken car key extractions as well as a variety of other automobile related services for the full range of cars on the road today; including, Toyota, Volkswagen, Chevrolet, Peugeot, Range Rover, BMW, Kia, Mercedes, Porsche, Isuzu, Jaguar, Mazda, GM, Alfa Romeo and more. 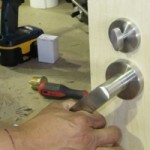 Contact FC Locksmith Toronto if you find yourself in a jam and experience for yourself why FC Locksmith is the first choice in locksmith service providers in Toronto.